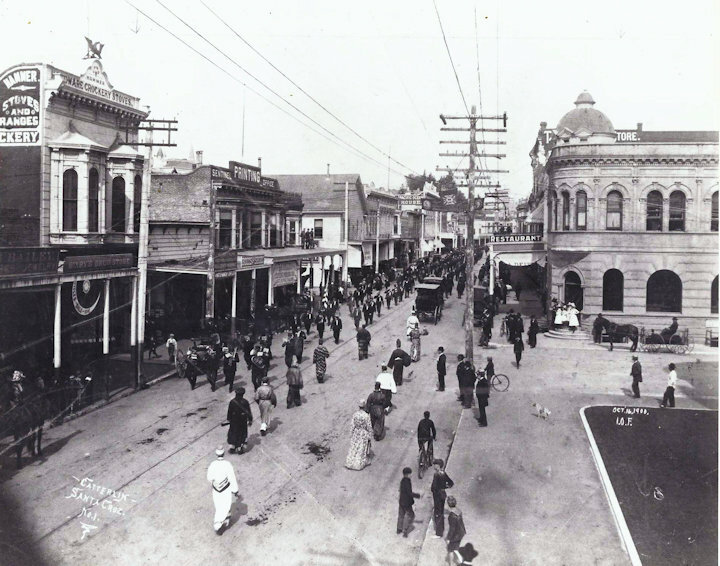 PACIFIC AVENUE AND COOPER STREETS Oct. 16, 1900. If you squint you can see the early offices of The Sentinel Printing Company on the left. You can also see the parade is going north and south at the same time. One band is marchimg four abreast going south while the carriages and costumed marchers are marching northward. A great idea! If the streets are wide enough…which they aren’t anymore…and if the City encourages parades which they don’t anymore. EXTREME TEETER TOTTER. 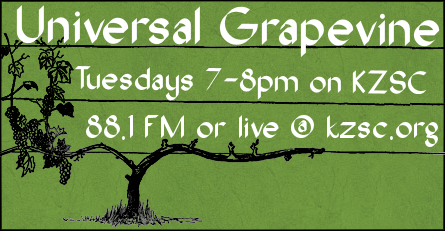 Unbelivable stunting…watch this one..
CITY GROWTH AND CORRIDOR REZONING NEWS. Every city in the S.F.Bay Area is suffereing from growth. And the attempts at solving transit problems with BART, Cal Train, more bus service, and adding or widening freeways hasn’t helped at all. People are leaving the area in greater numbers than ever due to all of above and especially because of the rent and the cost of all housing. The very same is happening to Santa Cruz. Our traffic data studies are out of date and we need new studies. We are overwhelmed by traffic now. Our officials must look at and re-consider the so called Level Of Service (L.O.S.) so far the City has said that the level D as being OK with them. The LOS is the amount of time spent at specified intersections. http://www.santacruzcorridors.com/where-are-the-corridors.html are the target areas. With huge increases in tenants and their cars, replacing local business with chain stores, and the cutting through any and all neighborhoods to get someplace “faster” these corridors will further destroy our community. WHAT TO DO ABOUT ALL OF ABOVE? Attend the City Planning Commission meeting in the City Council Chambers Thursday May 18 at 7 p.m. Let them know you care, get involved…growth hasn’t brought any advantages to any community in the world,ever. ABOUT CABRILHO COLLEGE. Last week I wrote as the caption to a 1967 aerial photo of the Cabrillo College campus…” CABRILLO COMMUNITY CAMPUS 1967. Remember these good old days when the entire community was so proud of Cabrillo College? Remember when the teachers were so active and sincere and involved? What ever happened to the mutual pride we had for that College and the pride it had in itself?” Some great and some misunderstood reactions came quickly. To be as clear as possible I, in no way was suggesting that today’s Cabrillo teachers aren’t hard working, loyal, way underpaid, and as dedicated as any Cabrilho faculty in history. Nick Royal wrote, “Pride: I think many of us feel Cabrillo is a wonderful school”. Sure Cabrilho is a wonderful school, like all schools are wonderful schools, it’s just that Cabrillo college has changed and the community has changed. Bill Grant wrote in to say…We grew too fast. Our setting and weather attracted lots of people. Now we have a city on a hill instead of a small college. Our first ten years were golden. I was the second faculty hired (Roberta Bristol was first and is still with us). We had the best administrators. Sad, sad, sad”. Bill Grant as he states, was the second teacher ever hired there. We’re also talking about the first Cabrilho president Robert Swenson, vice president Floyd Younger and teachers such as Dolores Abrams, Howard Ikemoto, Sandy Lydon, Morton Marcus, Claire Biancalana, Holt Murray, Rob Edwards and many more who made such huge commitments and contributions to the community, and became well known for doing just that. **** I’ll bet not one in 5000 people walking down Pacific Avenue in Santa Cruz or Main Street in Watsonville could name the current President/superintendent of Cabrillo College. See answer at the very bottom/end of this issue of BrattonOnline. MINDFULLNESS & ANXIETY CLASS. Not even including Trump, there’s more than enough issues, challenges, pressures and uncertainities facing us each day to make us wonder. For nearly three years now I’ve been attending Carla Brennan’s classes/sessions on dealing with those pressures. She studied with Jon Kabat–Zinn and has been imparting mindfullness for over 40 years. Carla recently wrote…” Life, by its nature, is uncertain, unpredictable, and constantly changing. For many of us, this fact can be a source of anxiety and worry, and can undermine our well-being. Buddhist theory and practice directly addresses the truth of life’s uncertainty. Through dedicated effort we can learn to be more at ease with unpredictability and we can discover inner resources for peace and balance. Training the heart and mind through meditation can release us from habits that increase our unhappiness and difficulties. Anxiety is a physiological response usually triggered by repetitive thought patterns. Through mindfulness, we can learn how to calm the body and interrupt old ways of thinking”. I’m letting everyone know that she is offering a five week class on Wednesday nights starting May 31st. Check it out and I’ll meet you there. On one level it was an even playing field: five top UCSC administrators, five community members (including one student) attending the May 4th information and scoping session on the largest housing development ever proposed for the UCSC campus. As a gauge of student and community interest or concern it was abysmal. That it conflicted with the City Hall To You event was unfortunate and hopefully an oversight although these two large institutions should check their calendars. Maybe they did. Students had asked for an on campus meeting, which was rejected. The purpose of the evening was to communicate an overview of the development, answer questions and allow for community input on what should be included in the Draft Subsequent Environmental Impact Report (DSEIR) which is required since the development involves a re-zoning of campus lands from Campus Resource Lands to Colleges and Student Housing, an amendment to the 2005 Long Range Development Plan. At first blush, any development of housing on campus is likely to receive a three cheers response from the community. After all, if they provide more housing on campus for students that will free up housing off-campus for community members, right? Wrong. Although this development is for a total of 3,000 beds, only 900 will be net new beds. The rest will ” decant the pressure” from the current practice of squeezing 3 students into dorm rooms designed for 2 and the conversion of college lounges, important social spaces, into bed space. And since UCSC is accepting 500 additional students above the annual norm of 5,000 new students, it’s easy to calculate that even this behemoth housing development will be full in two years after its projected construction. If continued growth is accepted, expansionist eyes will then turn to the upper campus lands. If you love UCSC and the campus lands like I do, additional concerns come to mind. The hallmark and success of UCSC has been its decentralized college system. Each residential college centered on an academic theme has provided a small college experience within a larger framework. The development of 3,000 bed spaces in a 14-acre building site (the total site earmarked is 50 acres) without any college affiliation is an unprecedented departure from the original UCSC vision and practice. It is the single largest residential building expansion ever. It will be available only to upper division undergraduates and graduate students, not lower division undergraduates. Therein lies a problem. In my 30 years experience working at UCSC primarily with undergraduate students I know that after their first year or two living on campus, most students are eager to move off campus where rents are somewhat cheaper (all is relative) and they can drink and party without intrusion from a college proctor or residential assistant to draw the line. If these thousands of new apartments on campus don’t allow for drinking and partying then students won’t want to live in them, creating a funding problem which leads to increased rents as occupancy levels fall. This drives up off-campus rents since community landlords are well aware of the cost of living on campus. If these thousands of new apartments allow for drinking and partying (since many upper division and all graduates are above the drinking age) then the campus will have serious social problems on its hands. I lived in Family Student Housing for 4 years. All residents were graduate students and their families. This complex of 199 apartments (far smaller than the proposed development) had a disproportionate share of social problems requiring police, disciplinary and counseling response but at least it was human scale. It will be bulldozed to make way for the new mammoth development. That a 1971 housing complex is considered “at the end of its useful life” is a terrible waste of resources in my mind but no mind. It’s probably in the way of the bulldozers. If future upper-division students do opt to live on campus in this new development, a related problem will be the departure of upper division undergraduates from the residential colleges. A college comprised only of new undergraduate students erases the mentorship of older, responsible students (most are responsible) and creates a frat like mentality. There is a precedent for this experiment when UCSC admitted a thousand UC Berkeley rejects above the expected new UCSC undergraduate students in the 1990’s, which meant no bed space available for upper division undergraduates. For students and staff, it was not a happy time. I raised the above issues as well as concerns about future rents, funding, aesthetics, and geology. My impression of their answers, which I found refreshingly straightforward, was that they also have concerns but are forging ahead regardless. Yes, they had a discussion about the impact of severing housing from the colleges but it didn’t amount to much concern. Colleges are expensive. Yes, there is concern about rents but UCSC will give a range to prospective developers (+ or – 5%) and hope they can build within that range. Yes, there is concern with geology since it’s a challenge to build on campus and no they have not yet conducted a full geological survey of the site. Yes, they are concerned that this will look like a spec housing development but are hoping for the best. Yes, they are nervous about a public/private, housing venture, the first at UCSC, but it has worked well at UC Irvine. The elephant in the room remains. UCSC has outgrown its capacity to accommodate more student, staff and faculty growth without severe compromises to its founding vision, its respect and value for sacred lands and respect for its host community, the city of Santa Cruz. And at the top of this bullets page the council is again reminded that “85% of our staff hours are spent.” So, councilmembers should not expect much more than 15% because staff is already busy, I guess. May 1—On May Day, the traditional Labor Day for trade union activists and students, I joined several marches and protests in support of workers, students, immigrants and the homeless. The first was on the university campus where I observed more than one hundred students holding the picket line on probably the hottest day of the year so far. It was a rather untraditional place to be holding the picket too. The line extended across the intersection of Hagar and Glenn Coolidge Drives on the eastside of UCSC’s enormous campus. Nothing was getting through this spirited, sweaty, and ultimately thirsty group of demonstrators. They were only letting vehicles, bicyclists and walkers exit campus, nobody was entering.Also, blocked off was nearby Ranch View Road leading up to the faculty housing that overlooks the UCSC Farm.The west entrance too was closed due to the May Day picket. Around noon, I attended a small, but spirited gathering in front of the downtown post office. The group was protesting the Trump Administration’s anti-immigrant policies, and the current fence surrounding this historic building was a powerful symbol of separation. The fence was referred to often in describing the wall Trump wants built on the US-Mexico border. It is not a far stretch considering the post office fence surrounds federal property and as I understand, this fence had to be approved in Washington, D.C.
At 5:30p the same day I met fellow councilmember Sandy Brown across the street at the Town Clock. We joined a fiery, sign-waving group of Santa Cruz teachers led by Sara Ringler. They were demanding long-deserved wage increases. The struggle continues. 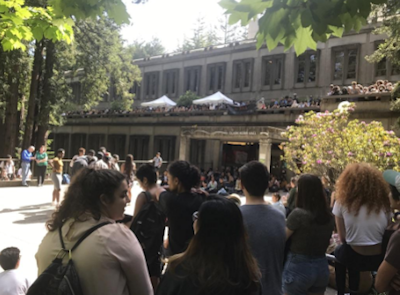 Hundreds of student protesters outside of Kerr Hall on the UCSC campus waiting for word of a student-led negotiating team that was just about to leave to meet the chancellor. May 2-4—The Afrikan-Black Student Alliance led a take-over by and for students of Kerr Hall on the UCSC campus. On the afternoon of Thursday, May 4, an agreement was reached with the chancellor on a set of demands that included all African, Black, Caribbean identified students will henceforth be issued a 4-year housing guarantee to live at the Rosa Parks-themed house on campus; the restoring of the student study lounge at the same Rosa Parks house from its current dorm bedroom status was granted; diversity training will now take place for all first-year and transfer students across campus; and they obtained the right to paint the Rosa Parks African American themed house in Pan-African colors—red, green and black. In addition, student leaders negotiated a lifting of all potential trespassing penalties against any students who had occupied Kerr Hall, which is also the building where the chancellor has his office and is named after Clark Kerr, one of the historic architects of the University of California system of education. The students celebrated a sweet victory in Kerr plaza when their negotiating team arrived with the good news. Wow, it appears that Emmanuel Macron, a 39-year old investment banker who did not run on any traditional French political party ticket just about doubled the National Front’s, Marine Le Pen’s vote total. It appears the lesser of two evils has perhaps won. “I want to share my thoughts with you. We are going to have a long day. We have to choose our president today. And to me, it’s like choosing between 2 diseases. What I mean by that is you know you are ill and you are waiting for your doctor who is going to check on you and in time tell you the diagnosis. And during all this time he is checking on you, you keep saying to yourself: God (even if you are not that religious) what is the least lethal? Cholera or the Plague. How can someone choose between these 2 diseases? We are going for sure to lose 5 precious years for the ecology, education, research ….for the people. I was involved in all this political matter these last months. I participated in debates and I worked at the polling stations 2 weeks ago. But after the first-round (of voting) I just stopped. But I’m going to vote”. The Santa Cruz City Council agenda was chock full of critical issues. These included extending the current moratorium on issuing permits on “short-term rentals” (STVR) only to those of “owner-occupied residences and duplexes for up to one additional year.” In case you haven’t noticed, this segment of the local economy has taken off—Santa Cruz now has 500 short-term rentals and counting—and along with university growth it is responsible for our sky-rocketing rents and scarcity of family housing in this city. Folks, these STVR’s are a BIG deal, so please pay close attention, we have nothing to lose…but a significant sector of our housing. The evening agenda item that many came out for was the “Final Report“—after a six-month study and inquiry—of the “Homeless Coordinating Committee.” Hang on to your hats because there is sure to be some controversy here especially around the “Policies or Programs Considered and Not Recommended” by this committee. They include: 1) Declarations of a State of Homelessness Emergency,” which might allow the city council immediate powers to make some significant changes quickly; 2) a temporary tent encampment on public lands; 3) an RV parking area(s); and 4) the excising of the word “camping” in Municipal Code Chapter 6.36, which would cease making it a crime to basically sleep outside at night. None of these were included in the committee’s recommendations. In addition, the council looked at supporting California Senate Bill 562, single-payer universal healthcare for all (yaaayyy!!! ), and a resolution “supporting and recognizing the Amah-Mutsun Tribal Band” in their struggle to “obtain formal recognition…by the United States Congress.” Go team! I am hoping to report the details of these items on next week’s Majority Report. Attention: The UCSC chancellor, George Blumenthal has postponed his presentation on housing, traffic and water and the future LRDP planning until MAY 23rd city council meeting. WHY DOESN’T THE SANTA CRUZ COUNTY PLANNING DEPARTMENT CARE ABOUT TRUTH? You may be amazed to read that the Assistant County Planning Director, Ms. Wanda Williams, recently told me “I prefer to let (Zoning Administrator) errors blow on through to the Planning Commission and have them look at it,” rather than correct the errors her staff makes. What does that mean for the public? It means that if you want the staff errors corrected, you have to pay $1800 to file an appeal, and probably hire an attorney to represent you in the appeal process. Does that seem fair to you? That is what I learned last week when I tried to file an appeal of Ms. Williams’ approval, as the Zoning Administrator, of a large commercial event center for Lester Winery on rural Pleasant Valley Road, near Corralitos. I want to make it clear that I became interested in this development because my family often bicycles on the narrow County roads in this area. Lots of people do. The issues I have are with regard to the County not upholding its own County Codes and poor transparency to the public, not the Lester family. The approval of a winery for large special events is not allowed under the current Santa Cruz County Code in rural residential and residential agricultural areas like Pleasant Valley. The Planning Department is pushing to change that with the “Code Modernization”, but that is still under environmental review. Approval of this event center that will allow 10 large events (200 guests) and 16 small events (50 guests) is not a permitted use under current Code and violates the California Environmental Quality Act (CEQA) process. Because so many area residents have raised concerns about the negative impacts this commercial event center would have on the substandard (think single-lane) County-maintained road (think ‘NOT maintained’), the Planning Department required the developer to do a traffic analysis. Unfortunately, Ms. McDaniel reported the peak hour traffic counts as the total traffic counts. This is a huge error, representing the traffic totals at nearly 50% of what the traffic study actually reported. Likewise, Ms. McDaniel used these inaccurate traffic numbers to calculate the parking needs…so there is inadequate parking to serve guests as well as the event support staff (caterers, musicians, etc.). That could force overflow traffic to park along Pleasant Valley Road, a narrow country road with no shoulder in the area of the Lester Winery. The Staff Report failed to address these commercial development impacts on a public road and seemingly did not require or discuss any Transportation Improvement Assessment (TIA) fees that are required in other commercial development approvals. The ordinance reads that a commercial developer must pay for all improvements necessary to mitigate the effects of the development. The County has no money to improve Pleasant Valley Road to handle the traffic caused by this large event center…nor should we pay for such upgrades to serve a development. The Staff Report did not discuss the cumulative effects of approving the large commercial event center with respect to traffic and noise impacts on the Pleasant Valley rural community, in consideration of two other large wineries in the area (Nicholson Winery and Storrs Winery). Ms. Williams approved outdoor amplified music to be allowed 4pm-9pm for the large events. Ms. McDaniel stated that a noise study indicated that no sound would be heard beyond the Lester Winery property line. If you have ever spent any time in a rural valley, you know that amplified outdoor music would echo throughout Pleasant Valley. Ms. McDaniel stated that if enough neighbors file complaints with the County Sheriff, the permitted hours of amplified music could be reviewed. That sets up tension in the neighborhood, doesn’t it? Ms. McDaniel reported that the development’s driveway will meet all standards for Aptos / La Selva Fire Protection District. She made an error, however, in that Pleasant Valley is not within the boundaries of that fire agency….County Fire and CalFire respond there from Corralitos. Has the developer met fire defensible space requirements with respect to areas classed as high fire risk? What about an evacuation plan for 200 guests should there be a wildland fire in the area? This critical public safety problem was not discussed in the Staff Report or at the public hearing. The Staff Report made an error in reporting the commercial development’s water supply. Ms. McDaniel reported that Central Water District would supply the proposed large event center with water but did not report that the service connection is insufficient to provide the volume of water necessary for a large event center. What Ms. McDaniel did not report is that the water will come from the private well on the site. This area is part of the Mid County Groundwater Basin, which is in critical overdraft. According to State law, all new commercial developments must provide proof that there exists sufficient water supplies to support the development’s sustainable long-term use. There was no discussion of this problem. The Planning Department also violated the Ralph M. Brown Act during the April 21 public hearing because not all of the materials viewed by Ms. Williams and Ms. McDaniel were made available to the public. The public was only provided with copies of the “Revised Conditions of Approval” (Exhibit C) for the application, but not Exhibit A, a program statement and revision letter submitted by Swift Consulting Services to County Planning staff. This document became the key to what Ms. Williams ultimately approved….she essentially gave the developer everything asked for in this document, which was not shared with the public at the hearing. Mr. Swift’s requests were far and above what even Ms. McDaniels had recommended. According to Government Codes 54957.5 and 54952(b): “Information given to a majority of the members of the legislative body in connection with an open meeting must be equally available to members of the public.” Some public meetings have information like this available in a binder at the back of the room, but this was not the case at the Zoning Administrator’s public hearing on this matter. There were two Pleasant Valley residents who found out about the public hearing and were able to attend the Friday, 9am hearing. They felt their neighbors were not aware of the hearing. The County only requires properties within a 300′ radius be notified. In rural areas, that means very poor notification. SO, EVEN WITH ALL THESE ERRORS, DID THE PLANNING DIRECTOR, MS. PREVISICH, GRANT A WAIVER OR REDUCTION OF THE $1800 APPEAL FEE? No. Is this obstruction of justice through unreasonable fees? I think so. Under economic duress, (and the financial assistance of some good friends who also care about preserving the rural quality of life and holding the County accountable), I am filing the appeal. Ms. Williams told me that she would not even consider the points I raised in a six-page document until I paid the full $1800 appeal fee. Wow. IS A CAR SALES LOT THE SAME AS AFFORDABLE HOUSING? Maybe the Planning Department is thinking people can sleep in their cars at the proposed area near 41st Avenue and Soquel Drive? The area is designated as dense, three-story mixed-use on the Sustainable Santa Cruz County Plan, but the Planning Commission will consider the application for a car sales lot proposed there instead. The public hearing is Wednesday, May 10, 9am, in the 5th Floor Supervisor Chambers (701 Ocean Street, Santa Cruz). Sometimes, these large issues get continued, so check with the Planning Commission website. (www.sccoplanning.com and look at the agendas link) Contact Planner Nathan McBeth 454-3118. WHAT DOES THE PLANNING DEPARTMENT DO WITH PUBLIC COMMENT? I have often wondered what the County Planning Department did with the comments recorded at the Aptos Village Plan community meetings years ago. The current Aptos Village Project certainly does not reflect the nature of the comments at the many meetings I attended. That concern was voiced by a Live Oak resident who attended the community meeting to discuss what could be done with the acreage at 7th Avenue and Brommer. The County purchased the land for redevelopment, but now intends to sell it, with a caveat of how the land can be developed. Affordable housing would be nice, don’t you think? Well, somehow the County thinks a hotel would be better. About 80 people attended the community workshop at Live Oak Elementary School. The facilitator showed slides of various possible scenarios….some of which the crowd quite vocally rejected. What about affordable housing, some in the crowd kept asking…but there was no real answer. Then, as these well-controlled events tend to go, we were divided into ‘work groups’ with a facilitator or two to write down our ideas and concerns. The room was a buzz of discussion, making it difficult for some to hear. I was glad that Mr. John Ricker, the County’s water advisor from Environmental Health, was there to answer questions about the availability of water. It would have helped discussions on the matter had Mr. Ricker been introduced so that people knew who he was and could find him to ask those critical questions. At the end, a spokesperson from each group took a microphone and reviewed their group’s notes. It was interesting to see that groups led by County Planning staff and, in the case of Ms. Diedre Hamilton, former Planning staffer and now a developer consultant, the group wanted a hotel (with bocci ball courts). Those led by the youthful staff of the consultant tended to bring up uses that support the resident population…and bocci ball. My group was the last to present. I thought it was interesting that the consultant facilitator quickly removed the “Concerns” page from the easel and encouraged our representative to speed things up. Had the concerns been read, they would have included that there is not enough affordable housing, that there might not be adequate environmental review (not EIR), that the public should get to vote on the ultimate plan, that there might be a negative impact on the harbor overflow parking, that traffic will become even worse, that there might not be enough water to support a hotel, that the local people will get ignored. Many had the same thought as I did…from past experience, the answer will most likely be “NO”. But the minutes will declare a vibrant public meeting was held…and the public wanted what the Planning Department said they wanted. Check off the box. I think I hear the shredders working overtime at 701 Ocean Street……. YET ANOTHER WELL-CONTROLLED PUBLIC WORKSHOP. Share the mic, listen well, don’t judge, don’t get on your soapbox, behave, raise your hand and wait to be called on by your facilitator to ask for clarification. Did we all agree? I raised my hand. “I’ll call on you in just a minute.” Any other points of agreement? One man suggested everyone turn off their cell phones. I raised my hand again. “I’ll call on you in just a minute,” the facilitator said, then dispersed the group. What I wanted to ask was that we NOT disperse, because a large group is, in my experience, more dynamic and focused. A young man from the County Parks Department came up to ask what I needed. I presented my thoughts about dividing the group. He just walked away without discussing anything. I felt like bleating, but did not, and instead joined my appointed sub-group. Each of the four stations was allowed 17 minutes. The first station was confusing. We were told to vote on what mattered most to us by placing a colored dot next to the concept. The concepts were vague. “Exactly what does preserve and enhance natural resources involve?” I asked. The facilitator told me to just vote and we would discuss what things meant after that. “But how can I vote if I don’t understand what these things mean?” I asked. “Just vote,” she replied. I never did get an explanation of anything. I guess I didn’t raise my hand high enough. Maybe it was just too noisy to hear anything. The facilitator rang the bell, and we all had to relocate to a different station. I felt like I was part of a small herd of livestock. When the main herd re-convened, the facilitator did a selective re-cap of four or five ‘unique’ ideas she had noted during the sessions, then we were excused. When I asked when the comments would be made publicly available, one of the facilitators from the County Administrator Office said there was still one more public meeting at another area of the County, but the comments of all four meetings would be ready in two or three weeks. Wow…not much time to assimilate all those colored dots and post-it notes into a County Park Strategic Plan that will reflect the thoughts and concerns of the public. Yup, now I’m sure the shredders are working overtime at County government…..
NOT A SHRED OF NATIVE AMERICAN OR ARCHAEOLOGICAL OBSERVATION AT APTOS VILLAGE PROJECT. The massive amounts of trenching and excavation work happening at the Aptos Village Project has been notable. What has been missing is a qualified archaeological and Native American observer while all that digging is happening. Last year, Soquel Creek Water District did the right thing and paid such observers to stand guard monitoring the digging. I recently read their report and noted significant historic and pre-historic items were found. The report stated that the observers were required due to the existence of a significant archaeological site on the southern premises. The documentation for the Aptos Village Project makes no mention of this site. The County’s Negative Declaration does not mention it, nor does it require any Native American observers. Once again, the County relegates the critical task of determining if there are significant archaeologic deposits found during digging to the excavator operator. That gives me no confidence that important artifacts will be noted or preserved. Last Friday, I happened to be watching one of the many excavation crews through the chainlink fence when I saw the digger unearth a round stone object. When I yelled at the operator to stop, he did, got out, picked up the object, and threw it back down. The operator did not return. I went to the other side of the development….more digging….no observers. I returned to the original spot….digging had continued. The artifact was tossed up on the side….it looked like a stone mortar. I left and made a call to a Native American observer. She said she was supposed to be notified when excavation work began, but did not get a call. She was concerned about no one being there to watch. INDEED, WHO IS WATCHING BARRY SWENSON BUILDER AND THE APTOS VILLAGE PROJECT CONSTRUCTION? One wonders if the County cares at all about anything other than what the CAO envisions as future income? This Friday, May 12, 9:30am in the 5th Floor Supervisor Chambers…. Write your thoughts about the environmental problems at this development and demand further environmental review. Under CEQA process, new information may be presented with a request for further environmental review….please contact me for this information. WRITE ONE LETTER. MAKE ONE CALL. MAKE A MONETARY DONATION. MAKE A BIG DIFFERENCE…..BUT DO SOMETHING THIS WEEK. The alt-right, or alternative right, is a loose group of people with right to far-right ideologies who reject mainstream conservatism in the United States. White supremacist Richard Spencer appropriated the term in 2010 to define a movement centered on white nationalism, and has been accused by some media publications of doing so to whitewash overt racism, white supremacism, and neo-Nazism. Alt-right beliefs have been described as white supremacist, frequently overlapping with antisemitism and Neo-Nazism, nativism and Islamophobia, antifeminism and homophobia, white nationalism, right-wing populism, and the neoreactionary movement. Before we all go away (which is very good advice, indeed), I want briefly to observe that both “left” and “right” are turning politics into entertainment. 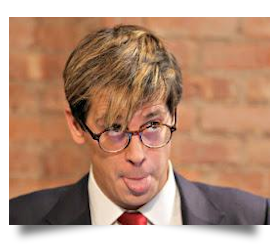 It would be fair enough, I think, to match up Milo on the “alt-right” side with Samantha Bee and her “Full Frontal” television review on the other side of the political spectrum. We’d better watch out. Our current president, for instance, comes out of this “politics as entertainment” tradition, and his effort to translate “The Apprentice” into a formula for governing the country is not working out very well. It’s not working out very well for him, and it is definitely not working out well for the country. Turning politics into entertainment can ultimately destroy our system of democratic government. That’s what will happen if we start forgetting what politics and government are actually all about. CENTRAL COAST SECRETS. Sandy Lydon is one of the aforementioned Cabrilho College movers and shakers. His Santa Cruz County History lessons changed many of our lives and made this county one of the most historically well educated and connected communities anywhere. Open this link http://www.sandylydon.com to his Central Coast Secrets May 2017 edition #41 and see his newest history awareness articles…and his tours and extra well-planned getaways. He writes about “bat bombs”. Read about artist Howard Ikemoto’s last art show and sale. Learn about Cambria’s Chinese legacy. And read about Annie Lydon’s next appearance with Dave Stamey on Saturday July 15 in the Corralitos Grange. CLASSICAL DeCINZO. 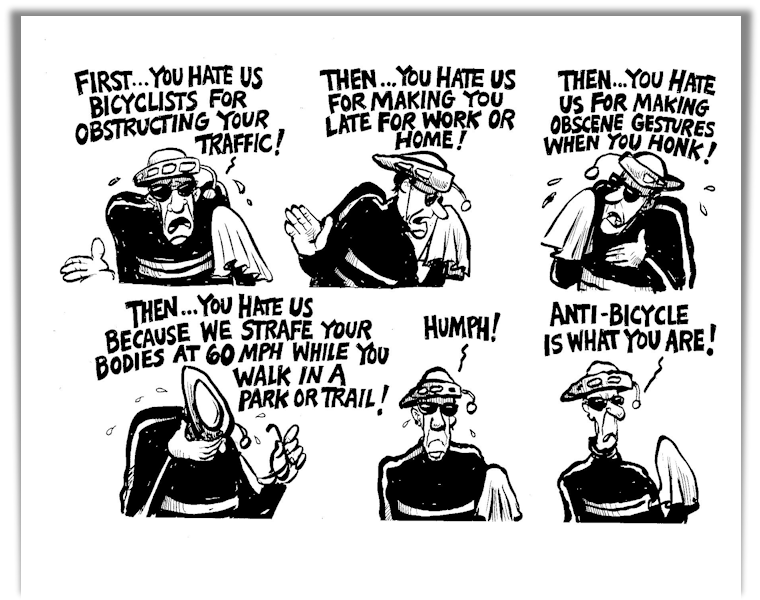 See how DeCinzo reveals bicyclists real feelings…below a few pages. EAGAN’S DEEP COVER. 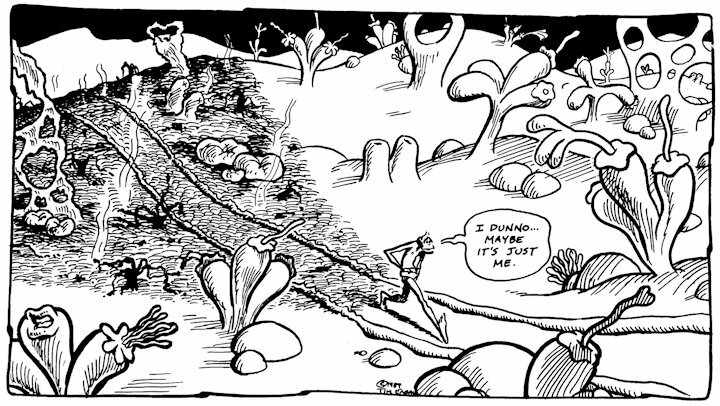 See Eagan’s ” Subconscious Comics ” down a scroll or two. As always, at TimEagan.com you will find his most recent Deep Cover, the latest installment from the archives of Subconscious Comics, and the ever entertaining Eaganblog. LISA JENSEN LINKS. Lisa writes: “Back by popular demand! Jewel Theatre Company closes out its 2016/17 season with the crowd-pleasing menage á dog comedy, Sylvia, this week at Lisa Jensen Online Express (http://ljo-express.blogspot.com).” Lisa has been writing film reviews and columns for Good Times since 1975. THE DINNER. Richard Gere, Laura Linney and Steve Coogan do their very best (and that’s quite good) with a script and direction that is beyond comprehension. Two broithers and their wives jab, slice, cut and torture each other and the audience while they eat dinner at a fancy-beyond words restaurant. Their teen age sons have murdered a homeless black woman and their parents have their own severe problems in dealing with that fact and life itself. A confusing, angry, hostile film that will upset you almost as much as the schitzy parents….do not see this movie!!! LOST CITY OF Z. A pointless and true plot based on a book about a Brit who keeps trying to find what he thinks is a lost civilization deep in the Amazon jungle. Its 2 hours and 20 minutes long, but you’ll think it’s longer. It has everything jungles always have except Tarzan…and suspense. The hero leaves his wife and kids at home for years on end and you’ll wish you had stayed there too. The true name of the hero only adds to the boring trek… Percy Fawcett. BORN IN CHINA. In 1952 my photography teacher in Pasadena Norm Wakeman shot hours of footage for Walt Disneys’ Water Birds. Coincidentally, he shot the water Ouezel footage up here on Swanton Road at The Big Creek falls!! He told me at the time just how severe Disney Nature films are anthropomorphized and edited/faked/dubbed to make them into the glossy, sweetened versions we still see in Born In China”. The photography is only stunning, amazing, and beautiful. Pandas, Snow leopards and cutesy monkeys are the main feature…if you can make it through all the added verbal poop. THE CIRCLE. This weak plotted pointless mess earned a 17 on Rotten Tomatoes… I would have given it maybe 18 because it was fun to see the making fun or evil of the Apple empire in Cupertino where I’ve visited a number of times. Tom Hanks does his usual job or being the perfect Steve Jobs – Mark Zuckerberg type guy. Emma Watson proves again that she can act…most of the time. Friends tell me that in the book Emma does not turn out to be a nice girl as she does in this flick but joins Hanks in trying to rule the world by controlling all personal data on everybody in the world. GOING IN STYLE. Another tired re-hash is Going In Style starring Morgan Freeman-79, Alan Arkin-83, Michael Caine-84, Ann Margret –76, and Christopher Lloyd – 79 as the same grumpy old geezers who decide to rob a bank. That these actors would align themselves with Steven Mnuchin who was the National Finance Manager for the presidential campaign of Donald J. Trump, and who Trump just appointed as Secretary of The Treasury is a shame. The first version was in 1979 and starred now long gone stars George Burns, Art Carney and Lee Strasberg. Making our senior citizens the butts of jokes is about as funny as Mantan Moreland, Aunt Jemina, Gordo, and any overused stereotypes that come to mind. LOGAN. Hugh Jackman and Patrick Stewart lower themselves considerably by playing the lead roles in this last of the Wolverine series. I’ve tried hard and failed to stop thinking that this is exactly the kind of film I’ll bet that Donald Trump likes. Even though the Wolverine (Jackman) is a comic book character and the special effects are just about 90% of the picture, the cruelty, killing, blood, evil, are all so typical of today’s biggest boxoffice hits, it’s too over the top for me. No plot, no emotions, no humanity…just more blood and more killing. Even the ending when Wolverine is in a stone covered grave I kept worrying and watching to see if some of the stones didn’t start shaking, meaning we’ll be tortured by an even worse Wolverine # 10. Yes Jackman has played the part nine times!!! Go- if you like Donald Trump type movies. COLOSSAL. Nacho Vigolondo directed it….and that should be a clue..He’s a wild Spanish young director who did Timecrimes and Open Windows. Anne Hathaway tries very hard to make this into maybe a comedy or possibly a sci-fi fantasy, but the studio and the director were against her. It has Godzilla monsters under her control, it’s got her battleing a serious drinking problem, and a very brutal boyfriend who actually beats her up a few times. I can’t imagine anyone liking this stuff, but it’s strictly up to you!!! FATE OF THE FURIOUS. Just about everybody who watches or reads the news knows that the Fate of The Furious (better title “Fart of the Furious” as in exhaust) movie topped almost every box office record ever set. Vin Diesel (real name Mark Sinclair) was born in Alameda in 1967 and has been the lead in all eight exact copies of one of the dumbest plots ever filmed. To see such stars as Helen Mirren sink to a three-minute role, Charlize Theron half act some part as a Russian killer is just sad. There’s a street race in Havana and somehow it ends with cars taking on the Russians in some sort of war. The USA reaction and most of the world’s reaction to such a crap of a film is an embarrassing statement of our collective taste. Dwayne Johnson is in it too but he is always in these sorts of things. Serious issue this time, no fluff. Please go watch this clip on Net Neutrality from John Oliver. Then go to www.goFCCyourself.com and tell them that you support strong net neutrality backed by title 2 oversight of ISPs. This is important beyond partisan politics. The FCC listened 3 years ago, and they should listen again now. THE CURRENT CABRILLO PRESIDENT/SUPERINTENDENT (since 2013) is: Laurel Jones!